At the Old Caledonian Bed & Breakfast, we like to use seasonal items for our menu, often right from our own yard! Right now, mulberry season is in full swing. We gathered a few gallons of them and made some preserves and some cobbler with a decadent biscuit crust. Take a look at some photos of our mulberry adventure, including a video of Old Caledonian owner/innkeeper Jon gathering the mulberries right from the tree! Wanna try some? Book a stay at the Old Caledonian Bed & Breakfast today! 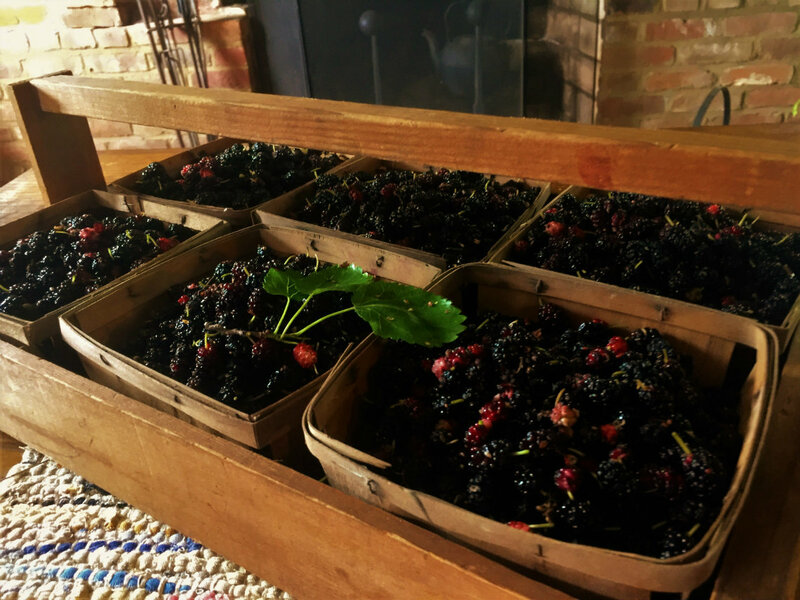 Our freshly gathered mulberries at the Old Caledonian Bed & Breakfast! 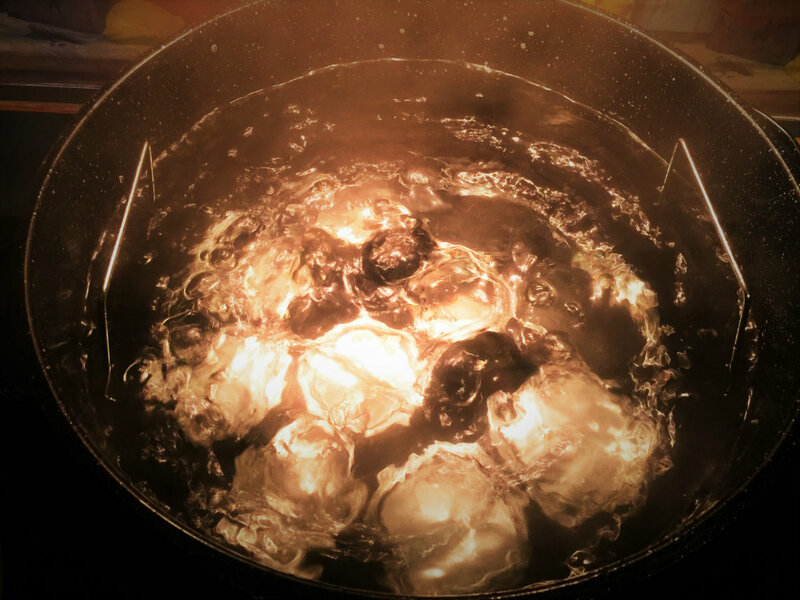 Jarring up mulberry jam at the Old Caledonian Bed & Breakfast is messy business, but worth it! 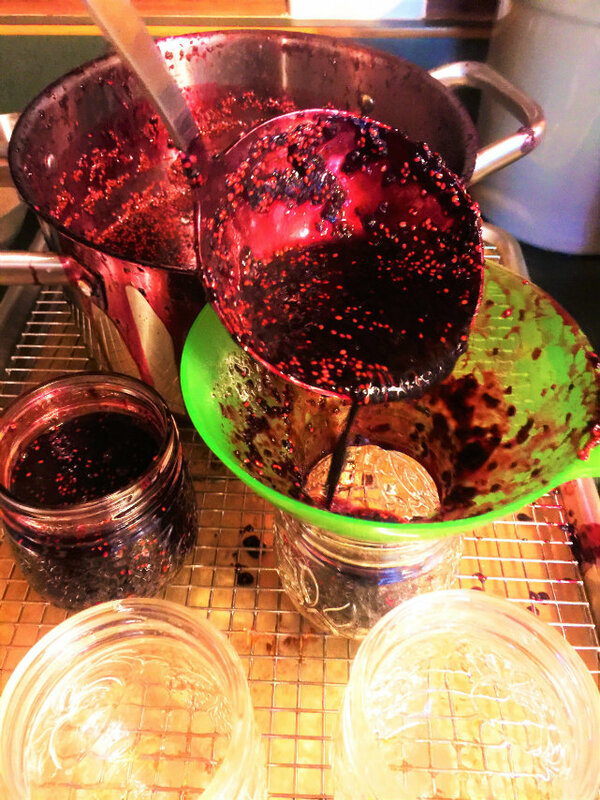 Processing the mulberry jam at the Old Caledonian Bed & Breakfast. All that work sure made for a sweet payoff. 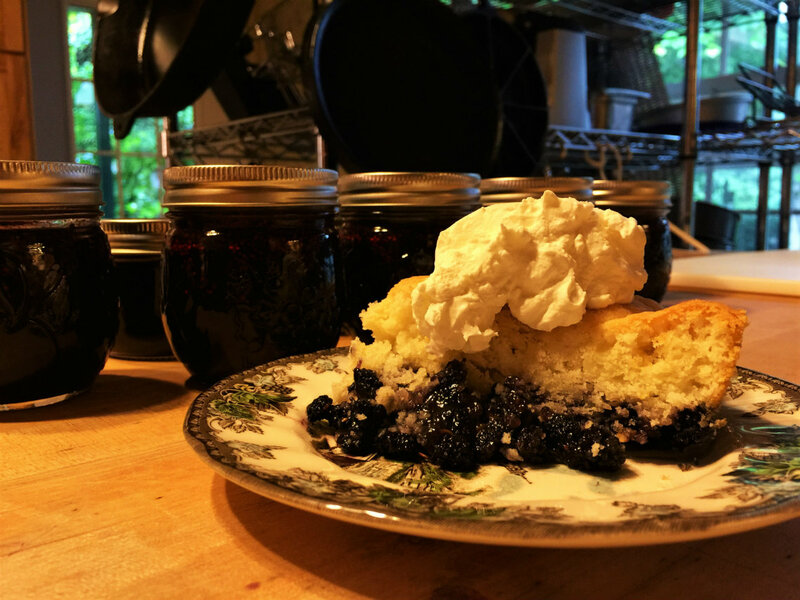 Mulberry cobbler with a sweet biscuit crust and mulberry jam made from mulberries right from our own trees at the Old Caledonian Bed & Breakfast.